When I was growing up, Labor Day was "The Day the Earth Stood Still." 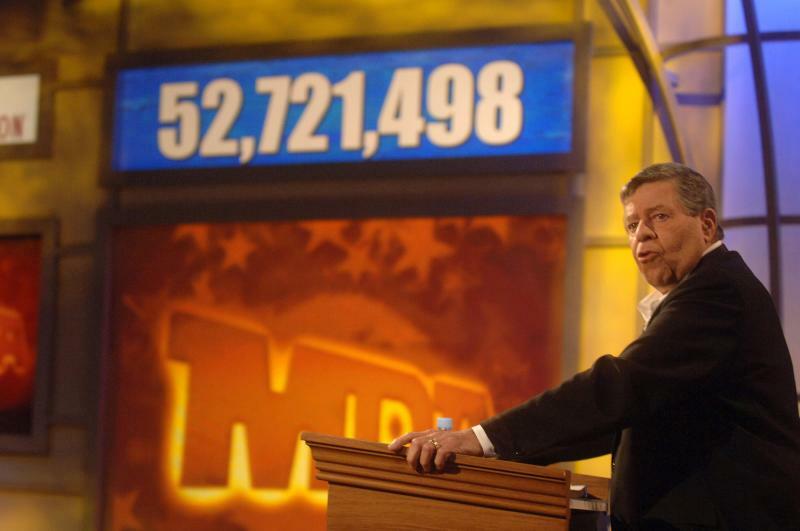 It wasn't so much because Labor Day signaled the start of the new school year, but because for one day, the Jerry Lewis telethon monopolized the airwaves. No Gilligan's Island, no Brady Bunch, no Little Rascals or I Love Lucy - just Sammy Davis Jr. and Dean Martin yukking it up and singing show tunes. But back then, for me, television was tightly wound into the fabric of summertime. In the days before playdates and rubberized playgrounds, we (the neighborhood "gang") would spend sunny days roaming free, walking through the woods, playing baseball and tag, drinking Kool-Aid and playing Payday on the neighbors' deck. Rainy days, we spent as captives of the television, devouring the daytime and early evening lineup on non-network New York stations - WNEW and WPIX. So it was a particularly cruel irony that, on the precious final day of every summer break, my favorite shows were ripped away from me to make way for the monotony of the telethon. I remember complaining to my parents that I had to go back to school, and arguing that I could learn just as much by watching television. Latin 101. Instructor: Mike Brady taught us, Caveat Emptor - let the buyer beware. Mr. Brady dispensed this priceless piece of Latin wisdom when Greg went to buy his first car. The eldest Brady boy (and lead singer of the Banana Convention) was so bent on picking up a new set of "wheels" that he allowed fast-talking Eddie that the screeching engine sound is "the idle, man -- it's the idle." When Greg gets home, though, Mike sets him straight, pointing out that the car sounds like "a flock of geese heading south." Introduction to Shakespeare. Instructor: Harold Hecuba. When the "famous director" lands on Gilligan's Island, the Castaways decide to stage a musical production of Hamlet. It always amazed me how, on this tiny island with only 7 characters, elaborate costumes, a proscenium stage, and musical accompaniment could simply materialize out of nowhere. Nonetheless, this was certainly my first introduction to Shakespeare, and I often wound up with this musical version stuck in my head while studying "Hamlet" in high school and college. Advanced Cryptology. 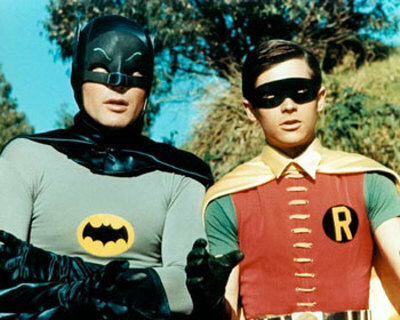 Instructors: Batman and Robin. No other show in history would even dare to attempt to plug canyon-size plotholes the way that this series did, usually with uncanny mental acrobatics from the Dynamic Duo and their bungalo-sized computer. My all-time favorite was episode in which the pair figure out that they are looking for a caviar factory, based on the obscure clue, "Ghoti Oeufs". "Gh" as in "rough", Batman coolly reasons; "o" as in "women", and "ti" as in "motion." Put it together and you get "fish oeufs" - fish eggs, or caviar. Holy Deus Ex Machina, Batman! Health. Instructor: Lucy Ricardo - Lucy's Vitameatavegamin commercial is commonly recognized as one of the top 10 TV comedy moments of all time. It also was the first time that I had ever seen a "drunk" person. Do "health drinks" still contain 23% alcohol? Driver Education. Instructor: Marcia Brady. Marcia manages to fail her initial drivers' exam by mistaking the ignition key for the windshield wiper control, but she rebounds nicely, thanks to some advice from the usually neurotic Jan, to show older brother Greg a thing or two about chauvinism. Only the Bradys would set up an actual driving obstacle course to settle such a score; I also love how they always put up chores as a wager. Biology. Instructor: Potsie Weber. Back in the mid-late '70's, ABC provided two of my favorite things on television: Happy Days and Schoolhouse Rock.One particular episode of the sitcom combined them into perfect package. Potsie, branded a failure by his biology professor (was that Larry King? ), makes up the corny but catchy "P-P-P--Pumps Your Blood" to help him learn how the circulatory system functions. By this time, the middle-aged Fonz was having trouble pulling off the James Dean act, and Richie's "Bucko" insult had definitely lost what little "Gee Whiz" shock value it may have packed. Home Economics. Instructors: Ricky Ricardo and Fred Mertz. When "the Boys" attempt to prepare dinner, they reveal a complete inability to read the side of the box, and create a Blob-like rice monster that fills the kitchen. 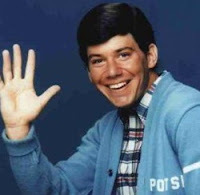 Bobby Brady committed a very similar error while washing his clothes after rescuing Pandora, the cat, on the refreshingly innovative Brady Bunch. Project Adventure. 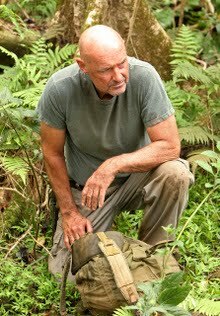 Instructor: John Locke. No, "Lost" wasn't on television when I was a kid. At least not in this life. But the show (especially season 1) captures the spirit of what it was like to grow up in the '70's - running, exploring, chasing, and even fighting, with minimal intervention from established authority. At least in contrast to the structured, sterile upbringing of today's kids, my generation's childhood was tinted by a degree of "Lord of the Flies." The season one incarnation of Locke is a superhero of the natural and supernatural - a man who seems to know the solution to every problem. Don't tell him what he can't do! Do you have any suggested "instructors" for additional courses? Please join in the discussion and share via the comments! UnFreaking believable post! I love it and want to make our charter shcool as soon as possible! Like now! sales funnelBobby Brady committed a very similar error while washing his clothes after rescuing Pandora, the cat, on the refreshingly innovative Brady Bunch.